Dedicated deliveries, carried out, on your behalf, by Nova Express. 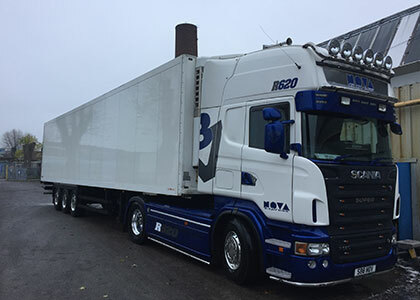 Once the requirements of your consignment have been finalised, we can supply a suitable driver and vehicle combination to complete the job. We handle multiple dedicated and same day contracts on a daily basis, from small parcels to timed full artic loads. We pride ourselves on our ability to complete deliveries to the customer’s exact requirements, and have a proven track record of doing so. Economically more viable than dedicating your load to a vehicle, Nova can offer a part load option where we load your goods with others heading in the same area. Do you have goods to collect from suppliers/customers? Nova can arrange these collections from any Nationwide point. Nova can arrange collections from any point and then arrange onward delivery to any destination.